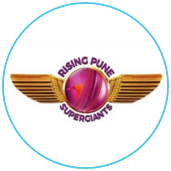 Rising Pune Supergiant stormed into the playoffs, earning at least two more matches, and the opportunity for an IPL title before signing out of franchise cricket. 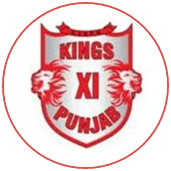 They demolished Kings XI Punjab in a knockout match at home to book a spot in the first qualifier against Mumbai Indians on Tuesday. 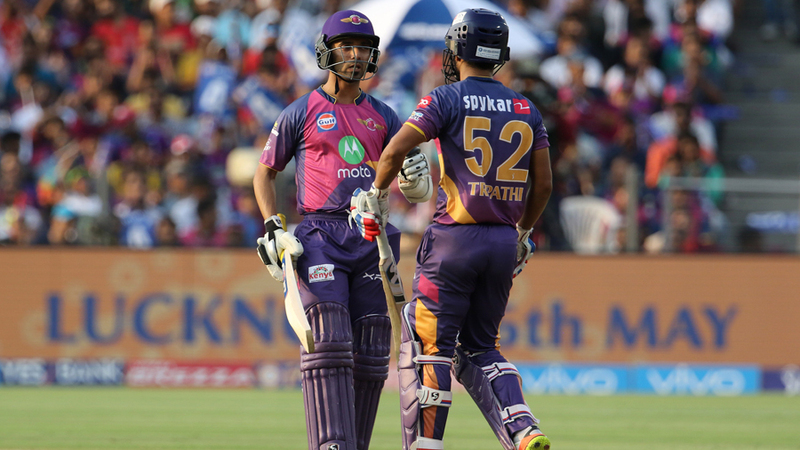 Kolkata Knight Riders will take on defending champions Sunrisers Hyderabad in the Eliminator in Bengaluru on Wednesday. 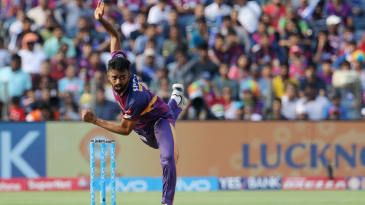 Steven Smith made a mention of the moisture in the Pune pitch, and his bowlers made excellent use of it with cross-seamers that tempted the on-the-up drive. On a bare surface, those deliveries come on nicely and batsmen can hit through the line. On this one, offering more purchase, such shots were ill-advised. The ball zipped through or bounced extra, and Kings XI were 32 for 5 in the Powerplay. They were then all out for their lowest total in the IPL - 73.